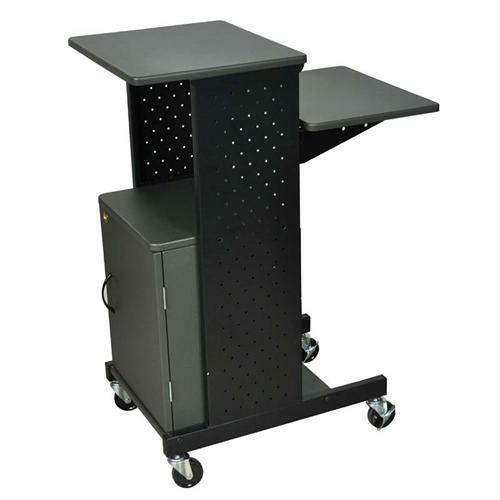 Convenience and durability come together on this Luxor Presentation portable workstation. This workstation features three-inch casters, two with locking brakes, three shelves and a locking bottom cabinet. 3 in. casters, two with locking brake. Comes with Luxor's lifetime manufacturer's warranty.